1. LEO members should register the day before the competition date(s). This will be strictly followed to avoid interruptions during the session proper. 2. Only 2 attempts will be given to participants each word to be fair with others. The second attempt will be considered in case of internet connection issues OR if the participant requests the Spelling Bee Announcer(me) to pronounce the word again. 3. The session will be one hour only. Rest assured that the words that will be given out will be equally distributed to the total number of participants. In the event that the one-hour session isn't enough, the Spelling Bee Announcer will be extending the session time. 4. The competition will be handled via Skype so please send your Skype IDs to me or @Lynne so we can add you in the chat room. 5. Easy-Hard words will be dished out to LEO participants. Rest assured that word difficulties will be equally distributed as well. 6. After each session, I will share the total tally of scores with respect to each participant. 7. Scores from 1st, 2nd, 3rd and 4th sessions will be consolidated. The LEO member who will get the highest number of scores will be declared the winner. 9. The winner will be declared as LEO's Spelling Bee Master 2016. Special thanks to @abhishekb9099 for his creative piece of artwork. See you there LEO folks!!! Godspeed! From 9th of January, i have semester exam! I really want to be a participant! Ok ! we can't do everything! I will join the last two round if it is possible according to rules! on 22 and 29 of January! All the very best to all the participants. thanks @kindgnice for initiating this competition. Good luck with your semester exams! Kindgnice, what spelling will you accept - BrE / NAmE or both? I'll have to prepare ten years to join a spelling bee competition. Is being a listener accepted? I'm pretty sure you can spell the words as well @Shiny03. Yes you can join as a listener. I suppose the first round has been finished, Did you have a good time? Yes @takafromtokyo. However, my signal was kinda fluctuating last night. @abhishekb9099 has a good suggestion, I think I have to use computer shops for my succeeding sessions. Great that you enjoyed yourself in hosting it. Hope the technical issues will clear out in the next round. I couldnot find dates in your message. Hello @shriya_vaidya2011. Have you tried visiting this link? We just had our second Spelling Bee session last Sunday, 15th of January, together with @nidhii @kratika @Julee, thought I already had the partial scores, I'll have to ask the third hard word to Kratika to finalize the total scores gathered last Sunday. Will keep you posted LEO folks! Contrary to @Shiny03, I think I can spell. I'll join you on January 29. Hi. I want to join but I have missed the privous sessions. Is that would be ok.
Don't worry pals, you can still join us because the spelling session for tomorrow will be cancelled. I will ask @Lynne and @Aladdin to reschedule the date next week. See you there! 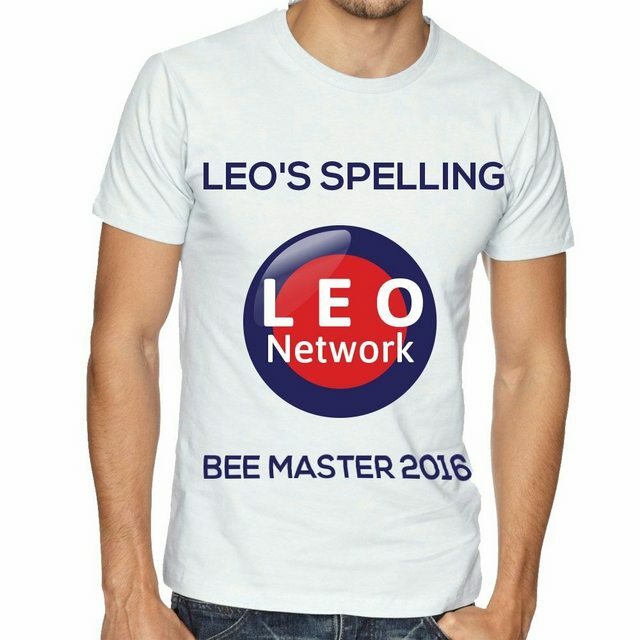 Thank you for participating and/or listening to our first ever Spelling Bee here in LEO network! Thank you for making this perfect as possible! Without you all folks, it wouldn't be successful. Who'll be our first ever King or Queen of Spelling Bee? I'll post the final results within this week! Thank you very much Nidhii for joining us throughout the 4 sessions. Can't agree more with @nidhii. Hats off to you for organizing them @kindgnice. Now, when will be the next competition? There will ne more this year, won't it? I think I need to practice more for this competition. I think most of the word is going way above my head . Incredible job on hosting the event!! We hope to see you there next year @mohit_singh. Thank you Taka-san! Hope to see you there next year as well! Okay @kindgnice, this gives me some time to learn how to recognize English sounds and their different spelling. Tough, tough, tough for a French one.